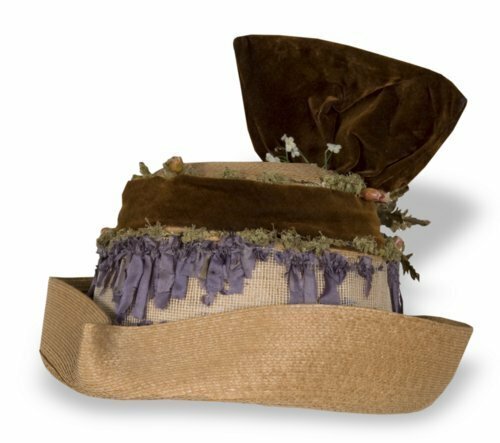 This silk and straw hat was made by Sarah Pettigrew McWilliams (1872-1958), who in her late teens operated her own dressmaking and millinery (hat-making) business in Washington, Kansas. At that time, producing custom-made clothing and hats for a local clientele was one of the few socially-acceptable ways for a woman to make a living. Sarah's business proved successful, but in 1903 she gave up the shop to wed Charles W. Hawes, a merchant in nearby Morrowville.